Ucheck (https://www.adlice.com/download/ucheck/) is a freemium program manager by the same developer of RogueKiller. It claims portability (untested!) for 32 and 64-bit versions so I reckoned it deserved a post. 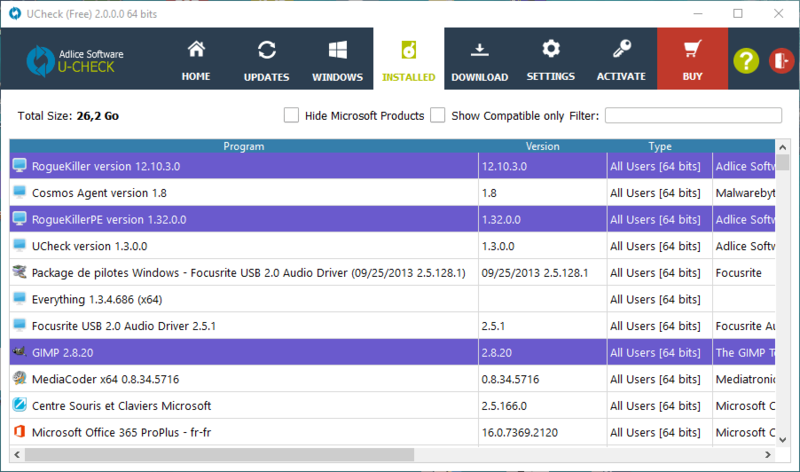 UCheck is a free software that lists your installed programs and offer to update them all in 2 clicks. You can cherry pick the programs you want, or bulk select them for update. UCheck also offers to install new programs straight from the developers official website, either one by one or with a bulk selection. Ucheck latest portable release (currently v2.3.4) can be downloaded from https://www.adlice.com/download/ucheck/#download.